When you bring a Will or Trust contest the facts you use to overturn an unfair Will or Trust may also apply to support a Financial Elder Abuse claim. 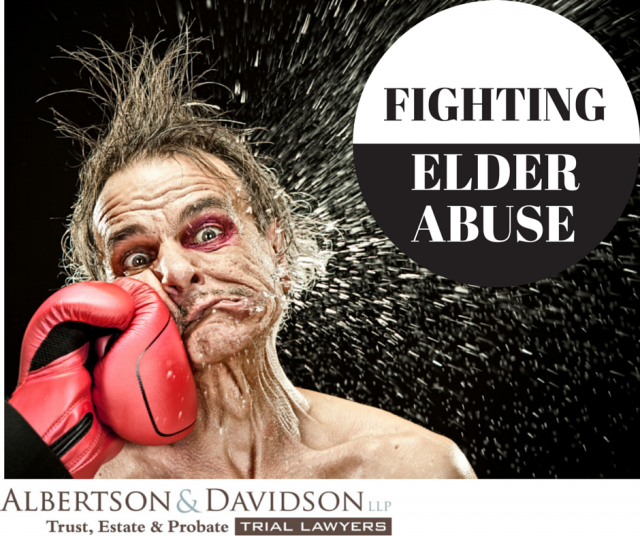 It is important to know how to use a Financial Elder Abuse claim properly. Our next video features Stewart R. Albertson discusses the finer points of Financial Elder Abuse in California Trust and Will litigation cases. To our email subscribers: click on the title link to view the video on our website. My friend and colleague, Michael Hackard, with Hackard Law in Sacramento, California, approached me the other day with an intriguing and much overlooked concept to recapture lost assets from an elder abuser: “constructive trusts.” Our discussion lead to the following article that we co-drafted on the issue of constructive trusts.